Get your team prepared for the competitive matches that matter, with this Gilbert G-TR3000 Training Rugby Ball Multi Size Pack Of 25 Balls. 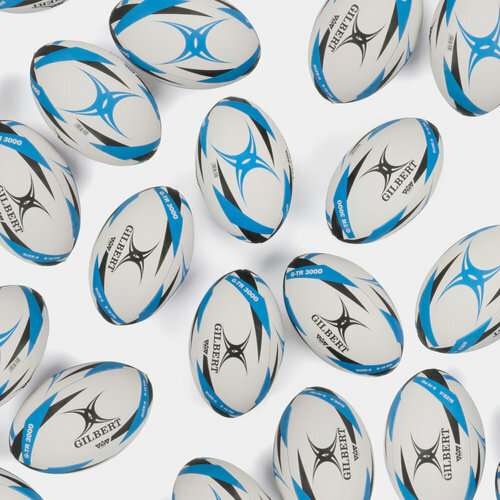 This pack of Gilbert G-TR3000 rugby balls contains 15 size 5 balls, 5 size 4 and 5 size 3. Perfect for coaches in need of equipping their team with the essential item any rugby player needs to train. This high quality training ball from Gilbert has been hand-stitched together and includes standard grip on the durable rubber surface to ensure you have full control in all conditions. Hydratec Moisture Barrier enhances the longevity of the ball for greater endurance, thanks to its water resistant properties. As your squad works on their passing and ball control skills on the practice pitch, make sure they do so with the Gilbert G-TR3000 Training Rugby Ball, all your team needs to work towards match winning performances.